Shortly after the election last fall, I called my doctor’s office. When I told the receptionist on the other end of the line that I was hoping to set up an appointment for IUD placement, she laughed. Not dismissive or mocking: just a little sad, a little rueful, the kind of laugh that happens when you’re faced with something too big to fit into words. “You know, you’re the fifth woman that’s called today to make a placement appointment?” She said after finding my information online. “We’re booked through for the next month.” Her voice softer. “I got mine last week. It felt like a choice; and it was a great feeling. Needed.” And then she cleared her throat and put me on the schedule for December 31st, sent me an email with the confirmation information, and told me she’d update me if anything sooner opened up. I’d been on extended-cycle pills for four years at that point, and had only given the IUD cursory thought. I am (immovably so) a creature of habit and inertia, and I’d gotten used to that 8 AM alarm on my phone, that little pink box on my nightstand, the little pillbox tucked into my bag in case I had an early morning. If it isn’t broken, don’t fix it, right? But the night of the election, when all else seemed insurmountable, I found myself searching for something, anything to do at 2 AM. So I read through four years of prescriptions and insurance claims and calculated how much my birth control would cost if I suddenly had to start paying out-of-pocket. $881. Per year. So, I decided to get an IUD. I spent the weeks before my appointment researching my options and contacting my parents’ insurance company to make sure my choice would be covered. I decided on the Mirena, a five-year hormonal IUD that multiple friends had raved about, and that was fully covered by my plan. I read testimonial after testimonial about what the appointment was like: some women talked about a consultation first, some about going straight into a placement. I had my annual well-woman visit scheduled for early December, when I got home from college, and the receptionist that I’d spoken to had advised me to just ask my doctor to add an IUD consultation onto the visit (she explained that for their office, a consultation was required, but just involved talking a little bit about my medical background, and then measuring my uterus with a sounding device to make sure the IUD would fit). Still, I worried about the hidden out-of-pocket costs that seemed to come up so often when things get lost in the havoc of healthcare claims and communications in the U.S. One wrong code from a practitioner, one out-of-network lab, and all of a sudden, you have a $300 bill springing into your life. And yet, I couldn’t find any detailed information about the actual costs of an IUD placement. This, I know, is mostly because healthcare costs can fluctuate so dramatically across states, regions, even towns. There’s no guarantee at all that what I paid (or would have, without insurance) would be what anyone else getting a similar procedure in a similar part of the U.S. would pay. With that said, the following is every test, procedure, and payment that was involved in my IUD placement (in addition to notes about what each test was for/where hidden charges may come in), in the hopes that someone, somewhere might find it helpful in the course of making a decision about their contraception. Consultation Visit: These are all of the charges from my “consultation,” which in my case was just part of my annual well-woman visit. Most practitioners recommend — or even require — that you’ve had a recent pelvic exam/Pap smear before your IUD placement to avoid potentially spreading infection during the procedure, so these tests will often be done during your consultation in addition to any measurements or medical advisements. Because of my HMO plan, I’m required to have my primary care physician recommend any specialists that I need, before I can qualify for coverage for those specialized visits; so during my visit, I made sure that my PCP had written a recommendation for the OB/GYN scheduled to place my IUD, and that my insurance company had been contacted. I also confirmed with the nurse on shift that the lab processing my test results was also in-network. Additionally, I know that on my plan, I would have had to pay a copay for the consultation office visit if I’d already had my well-woman visit that year; so that may be a thing to keep in mind if you’ve already maxed out your plan’s office/physician’s visits for the year. Placement Visit: These are all of the charges from my second visit for the actual IUD insertion, after I had been approved for placement. 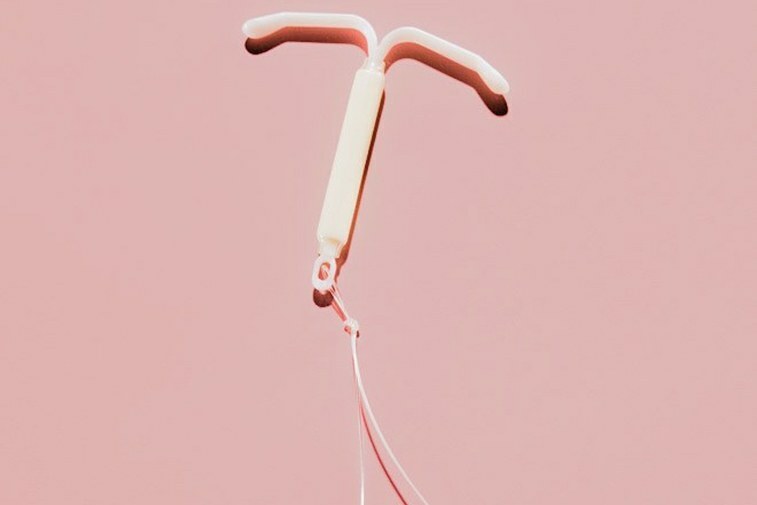 A note: Bayer, the company that makes Mirena IUD, works with healthcare providers to supply a certain number of free IUDs to qualifying women (so the only costs would be that of the placement procedure, and a potential office visit charge). My OB/GYN’s office has a fairly straightforward application process for this, though I’m not sure if that extends to other practices. There’s also a recommended string check for 8-12 weeks after your insertion, to make sure the IUD is still in place. I visited my college’s free clinic for mine (with a nurse practitioner; it was easy-breezy! ), so I’m not quite sure what costs might be affiliated with a more formal office visit. Again, due to my family’s generous insurance policy, as well as the ACA requirements for insurance coverage of any FDA-approved birth control methods, I didn’t pay for any of this out-of-pocket. I know that I have been — and am — incredibly privileged to not only have reliable and generous health insurance through my parents, but also to have ready access to healthcare both at home and in my college town. I am so lucky, and so grateful. I’ve loved my IUD. I didn’t realize how freeing it’d feel to turn off that alarm (four years! ); and I think part of me feels that if my Mirena’s there already, the government can’t decide to also situate itself in my uterus? Of course, that’s not true, and perhaps to articulate it in that way is to dismiss all of the work that still needs to be done to keep affordable care for women at the forefront of healthcare policy. But for me, that privilege — that tiny, plastic, t-shaped bit of privilege — is an everyday reminder not to stop fighting. If we had single payer, this wouldn’t be a concern for any woman. On the other hand, if we had single payer, the so-called “pro-lifers” wouldn’t have a stranglehold on America’s adult women. Why do people put themselves through this horrible and banal process? Imbibing fish hooks no less. Chastity is not only divinely ordained, it’s humane. Ignatius was supposed to have played around too. What’s your point? Why do people want to force women to put themselves through the horrible and banal process of carrying a fetus they do not want? Chastity is not humane (and celibacy was not required of priests until about 1074). Pope Felix V 1439-1449 was married and had 1 son (after that, no Popes are known to have been married, but I am sure not all were celibate and some had children). Good post, David. Takes a while for some truths to become obvious, like infallibility for example. Celibacy was another. That truth was also inevitable, though, because Christ himself was celibate and the most perfect way for someone to live is to imitate Christ. It’s highly unlikely Christ was celibate. Just as the Bible uses the allegory of seven days of creation of the world to educate the unschooled masses of ancient Israel (and even some people today), Mary Magdalene was very likely an allegory of Jesus’ sexual life. Had he been celibate, it would have been noted, since NOBODY of note in that land at that time was. Whom ya gonna believe, David, God or Chuck? Well, God says abortion is sometimes the better choice (Ecc. IV, i-iii), and you don’t believe Him. So, at least I have equal credibility! Sounds to me, Chuck, that the prophet’s saying the kids you’re helping to kill are lots better off in the long run that you yourself are. By Jove, you’ve got it, Mr. Dunkle!! And you didn’t even ask David to help you out! Good boy! See, this is how God gets to you– through the Bible. “Go thou and do likewise,” and all that. David! What does Chuck’s second paragraph mean? David, it might be more useful to focus on what very often happens to that fetus after it becomes a real child. I’ve posted here previously my account of what happens to babies when they leave the Baby Store (as opposed to the so-called “pro-lifer” story of The Abortion Store). If you’d like, I can post it again. Its point is that the so-called “pro-lifers” never accept responsibility for the real children whom they have insisted upon. They want to be heroes on the cheap.